The whole rich and detailed history of piracy clearly represents Fortress Fortress, along with the fort or Mirabela Peovica. Fort Fortica located at the very top of Dinara. For the piracy that was very important, because from one place could monitor a large area both on land and at sea. 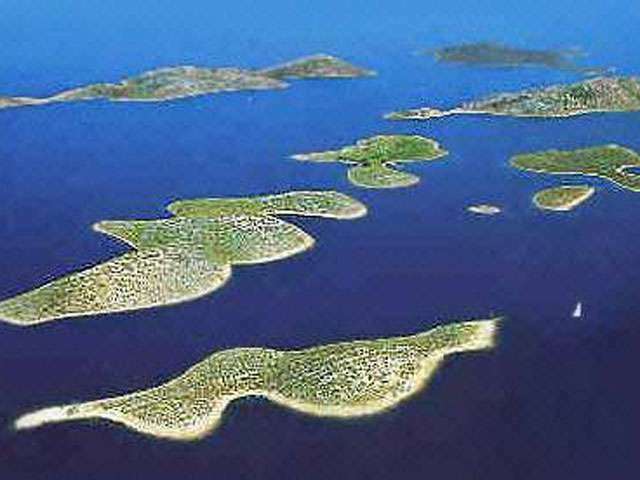 Specifically from the tower Fortress offers a view of the town, the canyon of river Cetina on the islands of Brac, Hvar and Solta, then the mean Poljica. The purpose of the fort was a defense against the enemy. Fortica is primarily used as a shelter in case of Omis was encircled with a fortress to threw a large rock boulders that destroyed the entire city, and thus to destroy the enemy. Today we can be proud that this has been and what we can enjoy the delights of this beautiful Dalmatian town. From the city center you can reach the fort well maintained trail with signs, so there is no fear that you will lose. To the fortress can be reached on foot from the city, through the settlement Baučići and climb the fort for 20 - minutes and enjoy the view. Town Omis is situated in the heart of Dalmatia and is located at the mouth of the river Cetina. Omis is located 20 kilometers southeast of the biggest Dalmatian town of Split, with which is very well connected (bus line every 20 minutes.) History of this small town is long and very interesting. On such a small climate you can see many cultural and historical sights. (Church, which dates from X to XVIII.century, numerous monuments, fortress, museum and more.) Today, Omis and the surrounding area with tourism development and due to the nature that surrounds it gives him an important place in Croatian tourism. In the area of 30 kilometers (Jesenice, Dugi Rat, Duce, Omis City, Stanići, Celina Zavode, Pool Rogoznica, Mimice, Medici, Marušići, Munoz) how long Omis Riviera are all kinds of beaches.All those who want to escape from the city noise in this area you can find peace in nature and the small fishing town on the Riviera. Those who want an active holiday in the right place (on the Cetina river rafting, free climbing, paraglaiding, diving, sailing, beach volleyball, tennis, etc.). In short, you can enjoy all sports on earth, water and air..